Are mom and dad really safe at home? To maximize safety for seniors at home, we must ensure a long list of conditions are met in each room: you need to optimize lighting, minimize clutter, use safe furniture, ensure you have a reliable monitoring and alert system in place, and make it easy for them to get help fast, if needed. As you know, our physical capacity deteriorates as we get older. While we are constantly increasing life expectancy, this deterioration is still a fact of life that we do need to accept. As we age it becomes increasingly difficult to get around the house; we will be highly likely to develop limitations in our ability to balance effectively; and we may even find it more difficult to perceive depth and see objects in our peripheral vision. Each of these factors are known to contribute to an increased risk of falls , while also making us more susceptible to home based incidents – and I can guarantee that your home (or the home of your loved ones) is not prepared for them. It’s essential to safeguard homes for seniors, as there is not always someone to discover and help them quickly enough, especially if they do not have a medical alert device, or have one but fail to activate it. One of the few things that we have a direct influence over is our environment. By making positive alterations to our home environment we can account for age related declines in function, and subsequently improve the safety of our home considerably. Did you know that a whopping 69% of all falls occur in the bathroom? In fact, my late father’s first fall occurred in the bathroom at home, thankfully while my mom was at home. It was hard to hear the news and realize he couldn’t keep his balance consistently anymore. While this may seem like a lot (maybe even too many), it does make sense if we take a second to think about it. The bathroom is the one of the few rooms within the home that is tiled from floor to ceiling (tiles are arguably the slipperiest surface to appear in our home). Combine this with the mass of water, mist, and condensation that accumulates in the bathroom after a bath or shower, and we have the perfect combination for a fall to occur. Fortunately, there are a number of things we can do within the bathroom to limit the likelihood of a fall occurring. 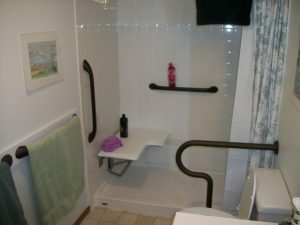 The addition of grab bars near the shower, bathtub, and toilet can go a very long way to preventing bathroom related falls. These bars provide a means of support to aid balance when moving around the bathroom, stepping in and out of the shower or bath, and standing from the toilet. Moreover, they can provide something stable and safe to grasp onto if a fall does happen to occur. As previously mentioned, bathrooms typically have notoriously slippery surfaces, which are further worsened by the vast amounts of water that are thrown around when bathing. But by adding plastic or rubber matting on the bottom of the bathtub, the floor of the shower, and the floor surrounding the sink, we can cause major improvements in the surface of the bathroom. This can go a very long way to reducing the risk of falling in the bathroom. 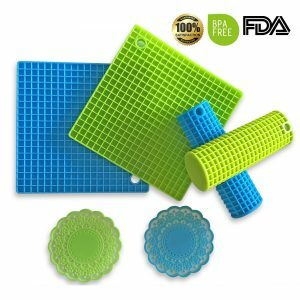 These sorts of mats can be easily purchased at your local homeware or hardware store, or of course online. A lot of old homes have bathtubs with either clawed feet or antique style footings. While these may undoubtedly look nice, they can cause a substantial increase in the height of the bathtub, which can increase the difficulty of getting in and out of the tub. 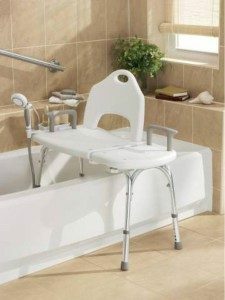 This can be managed by introducing either a tub transfer bench, or a small step, as means to increase the accessibility of the tub. By placing an intermediate step in between the bath and the floor we can greatly reduce the risk of falling when exiting the bathtub. Finally, if budget is not a concern, walk-in tubs can provide the greatest ease of access for seniors. The bedroom comes second only to the bathroom when it comes to frequency of falls in the home (and fall related injuries). While the bedroom may seem like a safer place than most, it is important to note that this is where people change clothes, and frequently go from lying to standing (often quite quickly) – both of which can challenge balance and lead to the occurrence of a falling incident. Floor and throw rugs are common in bedrooms. 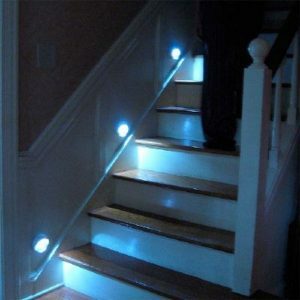 While they may look nice, they do create a tripping hazard and as such can contribute to an increased risk of falling. They should be removed from the bedroom (and the remainder of the house really), thus vastly reducing the number of tripping hazards from the home. We (as humans) have a tendency to hoard things – even if they don’t offer any real benefit to our lives. These things tend to accumulate until, once we have reached our twilight years, we have an abundance of things that take up too much space, and have greatly outlived their usefulness. They themselves can become tripping hazards, while also making maneuvering in and out of bedroom cupboards not only awkward, but also dangerous. By removing clutter and unnecessary items of clothing, furniture, and other inanimate objects, we can substantially reduce the number of tripping hazards within the bedroom, which will greatly reduce our risk of falling. 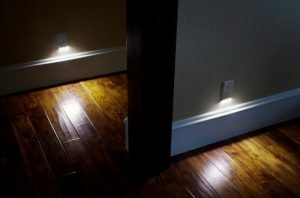 While this tip can be applied to the entire house, it requires specific emphasis in the bedroom and hallways. Bedrooms are traditionally one of the darkest rooms in the house (who can sleep when its light?). Poor lighting can hide tripping hazards and make it quite difficult to see objects and gauge depth. This can be vastly improved by the inclusion of bright light bulbs, large lamps, and even remote controlled or automated night lights, all used as means to increase illumination and improve the room’s visibility during night hours. Similar to the bathtub situation, if the bed sits too high off the ground it can create a nasty falling hazard. If your feet cant rest completely on the ground when sitting on the bed, then the bed is too high. The addition of a small step can significantly reduce the distance one has to travel from the bed to the floor, which can greatly reduce the risk of falling from the bed. With the vast number of electrical appliances in the typical household, we tend to have an abundance of electrical cords running around the various rooms of the house. This tends to be worse in the bedroom where we keep home phones, mobile phone chargers, laptop chargers, etc. etc. (the list goes on and on). These cords can pose a serious tripping hazard if left uncovered or out in the open. 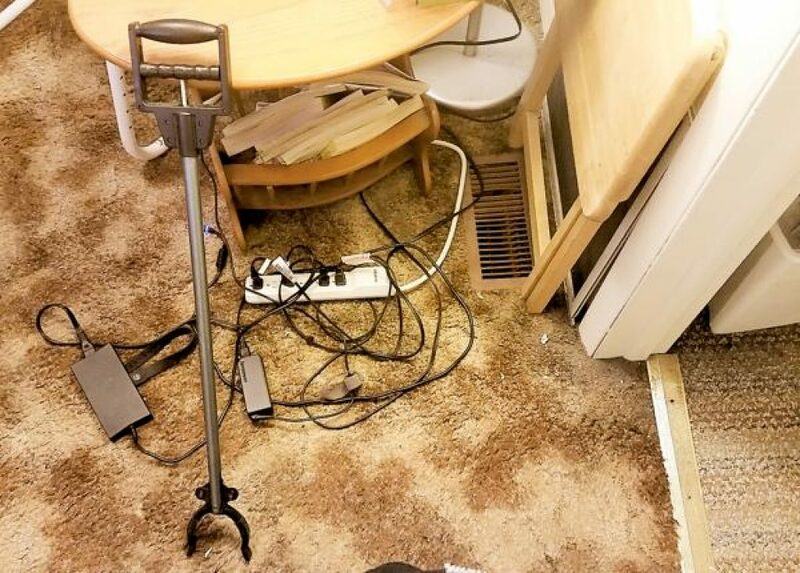 By using extension cords and power boards, we can ensure that electrical cords run behind furnishings (this may mean rearranging furniture to areas closer to power outlets if necessary) and not across the floor. This will limit the number of tripping hazards within the bedroom. 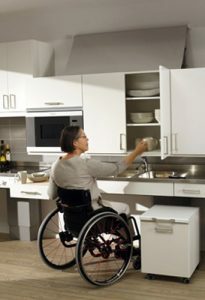 The kitchen is the third most common place for falls and trips in the home. With most kitchens offering some of the firmest flooring in the house (think floorboards and tiles! ), it can be one of the worst places to fall in regards to resulting injury. Fortunately there are a number of small and simple changes we can make to the kitchen to substantially reduce the likelihood of falling. This is a given and should be up to code in the entire home. However, it’s especially important for seniors to have a working smoke detector in the kitchen due to the frequency of fire incidents in kitchens. 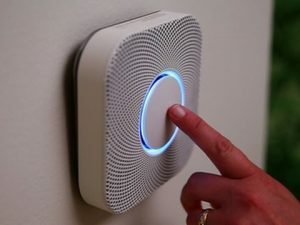 Smart smoke and heat detectors like Nest can also notify you of any incidents via your smartphone in case you are not at the home and wouldn’t be able to hear the siren of a traditional smoke detector. You know those old slippery fabric pot holders you grew up with? 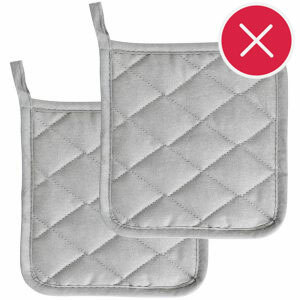 Mom might have managed just fine, but they’re not safe for seniors when compared with newer silicone pot holders and mitts. If our kitchen cabinets are too high or too low, they can increase the risk of falling during exaggerated reaching movements (think reaching up to get something out of the back of a cabinet). While it can be difficult to change the height of all your kitchen cabinets, you can easily install wall hooks (at shoulder height) to hold all your larger pots and pans, and move all your larger appliances into easily accessible areas (such as counter tops). If nothing else, you can reorganize cabinets to put the most frequently used items within easy reach. It’s also important to avoid putting potentially dangerous items in places that are hard to see or reach, as that can increase risk of injury. Following these tips will greatly reduce the risk of overreaching and falling as a consequence. Make sure the most frequently used items are on low shelves or the counter top, easily within reach. Kitchen counters tend to be full of appliances, car keys, today’s washing, and whatever else we feel like putting on them. Unfortunately if any of these items fall, they can obstruct pathways and create an additional tripping hazard. By improving our storage and organisation options at home and in the kitchen, we can reduce clutter and limit the likelihood of creating a tripping hazard. This can go a surprisingly long way in making the kitchen a much safer room. Similar to the bathroom, kitchen tiles or floorboards don’t offer much grip, and as such can promote slipping and falls. While changing the flooring can pose a somewhat large task, this can be easily avoided by purchasing socks with rubber soles OR using rubber matting around the stove and oven (those areas where oil spills are more likely to occur). The final room we have on our list is the living room. 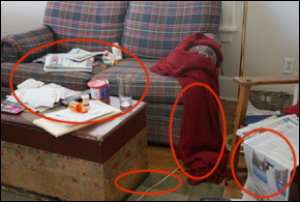 The living room tends to be one of the least organized in the house, and typically pose various tripping hazards as a result. 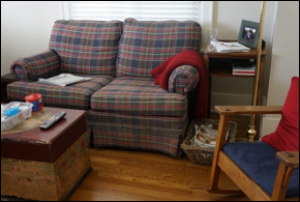 By making some simple changes to our living room set up we can greatly reduce the risk of falls associated with a cluttered living room. Consider replacing any sharp-edged furniture and glass furniture with rounded, soft-surfaced, non-brittle furniture. Is There Enough Room To Move Around Safely? If the living room is so full of furniture that it makes it difficult to move around, it is time to reorganise. By changing the layout of the furniture in the room, we can greatly increase the ease of access within that room (and subsequently reduce the risk of tripping and falling). If your chairs and side tables wobble when leaned upon, then they may actually pose a very nasty falling risk. Unstable furniture has the potential to tip over or break with very little notice, which can lead to a very bad falling injury. By removing all unstable furniture from the living room (and replacing them with more stable furniture if necessary) we can greatly improve the safety of the room. Carpet receives a HUGE amount of wear and tear. As a result, it is not uncommon for carpet to become torn or uneven in areas. This change in carpet quality can create an uneven surface and greatly increase the risk of falling. Small tears can be fixed with carpet staples or some high quality glue. If the floors are very uneven, then it may be best to see a contractor who can work to even out the subfloor, which could simply be caused by slightly warped plywood and screwed down to make it flat again.It is important to note that, while making these changes will go a very long wait to making the home safe for the more senior population, there is one other aspect that requires covering. By taking the steps outlined above we can greatly improve the overall safety of our home, and the homes of our loved ones. This will go a very long way to minimising the risk of home based falls in the elderly population, even despite obvious declines in physical capacity . While it may take a bit of time I can guarantee that when considering the high prevalence of falls (and the negative health implications associated) making these changes are well worth it – the benefits being both obvious and profound. Most of us are not fortunate enough to live in a brand new house. In fact, most of us probably don’t live in a house that was built this decade – let alone one that was built this year. And while this is normal (and there is nothing wrong with this – houses are built to last, after all), it does have some potential downfalls associated. One of which is the fact that older homes tend to be quite out of date when it comes to their safety standards. This holds especially true when discussing home security. 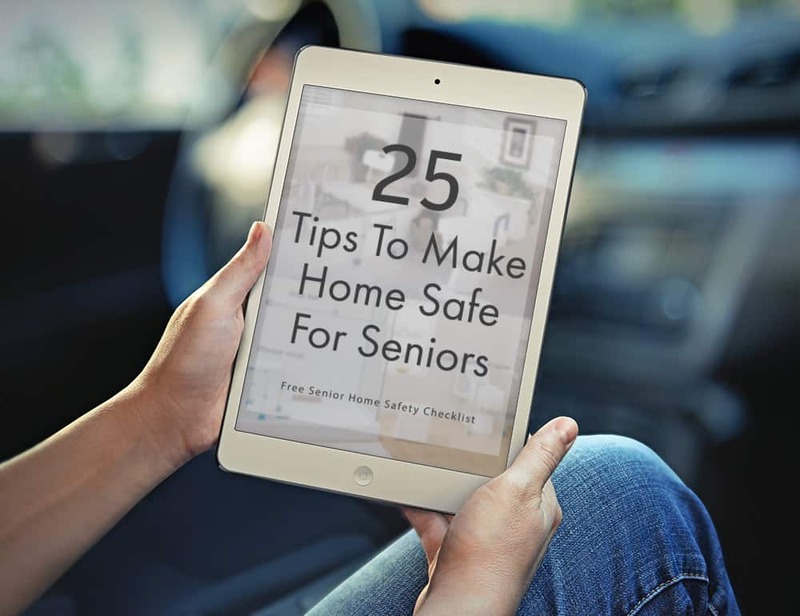 Additionally, when it comes to petty crime, theft, and home invasion, while seniors are not necessarily targeted any more than any other age group –if they are targeted, they can do very little to stop it. This can make the repercussions of such an incident much worse than they would be otherwise. But again, fortunately there are a number of things we can do to increase the safety of our home, protecting ourselves (or our elderly relatives) from the likelihood of an incident occurring in the first place. By ensuring that the following recommendations are managed, we can maximise the safety of the home, vastly improving security and safety. Install deadbolt locks on all exterior house doors to ensure that they cannot be easily broken in to. Replace any decorative door glass with thick safety glass – this will ensure that they will not be broken or used as an access point in the case of a home invasion or theft. Replace any hollow or glass exterior doors with solid wood or metal doors – this will reduce the chance of someone physically breaking down a door to be used as an entry point. Install a peephole into your exterior front door – this will ensure you can see who is at the door, reducing the likelihood of opening a door to a stranger. A more modern option would be a doorbell camera such as the one offered with Frontpoint’s home security system (review). Xfinity Home and Link Interactive also offer video doorbell cameras. These cameras enable you and your loved one to see who is ringing the doorbell without even needing to be home. These are great for checking for potentially dangerous or suspicious people when they ring your doorbell. Replace windows with thick safety glass – this will greatly improve the strength of the windows, and reduce the risk of a break in. Install motion sensor lighting around the building – this not only improves visibility but also acts as a deterrent to potential criminals. Install a wireless home security system that lets you remotely manage and monitor its features. For example, in the event of a false alarm, it’s ideal if you can turn it off for your loved one, rather than making her/him wait for help with a blaring alarm sounding and causing stress. If you choose to add cameras to your security system, it can be helpful for monitoring your loved one for safety, as long as they are fine with that. The implementation of the above tips can greatly improve the security level of the home. They will not only reduce the likelihood of such an incident occurring, but will also protect the home owner from all harm if an incident did still happen to occur . It may seem unlikely, but here in the United States, falls are actually one of the largest leading causes of mortality and injury within older populations. A somewhat simple fall has the terrible potential to lead to a severe (and possibly fatal) knock to the head, a nasty upper or lower limb injury, as well as disastrous damage to the bony structures of the pelvis and spinal column. This is can be greatly worsened by the fact that elderly people often live alone, and may not receive visitors for days or weeks at time – therefore turning what could have been a somewhat minor hip fracture into something much more fatal. Moreover, the houses that we live in are rarely equipped to manage the declines in physical capacity experienced by the aging population, and as such can greatly increase the likelihood of experiencing a fall in this population . Fortunately we can make a number of key changes to our home environment that will increase their safety, and as such make them more accommodating to the age related declines in function experienced by our population. In the following article I will outline the most dangerous areas of the home (in regards to falls and fall related injuries), while also providing the best ways to correct them – ensuring a safe and accommodating home environment for both ourselves and our loved ones! While we may not have the ability to stop ourselves aging (or stop the physical declines associated), we can make large changes to our home environment to accommodate them. This can vastly improve the safety of our home, causing substantial reductions in the risk of falling and the likelihood of home invasion. 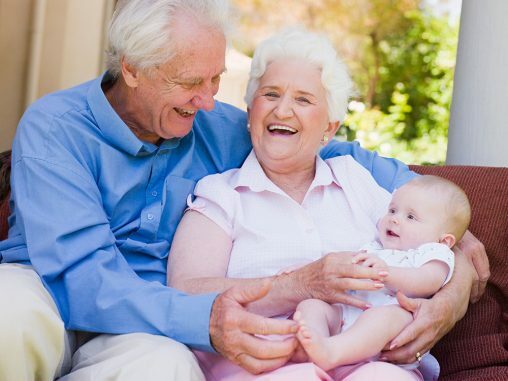 Home safety becomes increasingly important in our senior populations, and by improving their surrounding environment through a number of different means we can greatly increase their health, safety, and longevity!